The city of Hood River is the seat of Hood River County, Oregon, United States. Escape the urban bustle at Columbia River Gorge National Scenic Area and Timberline Lodge and Ski Area. Explore hidden gems such as Cottonwood Canyon State Park and Western Antique Aeroplane & Automobile Museum. Venture out of the city with trips to Mt. Hood National Forest (in Welches) and Maryhill Museum of Art (in Goldendale). There's more to do: learn about winemaking at Marchesi Vineyards. 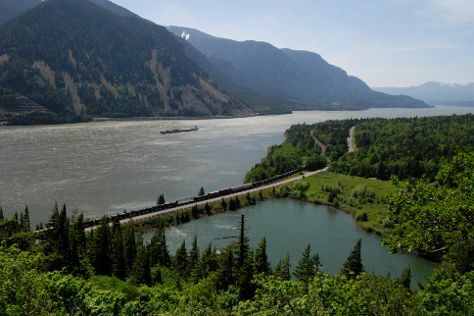 For more things to do, traveler tips, other places to visit, and tourist information, read our Hood River road trip planning site . Prague, Czech Republic to Hood River is an approximately 17.5-hour flight. The time zone changes from Central European Time to Pacific Standard Time, which is usually a -9 hour difference. Traveling from Prague in September, plan for somewhat warmer nights in Hood River, with lows around 16°C. Finish your sightseeing early on the 25th (Wed) so you can drive to Cannon Beach. Cannon Beach is a city in Clatsop County, Oregon, United States. 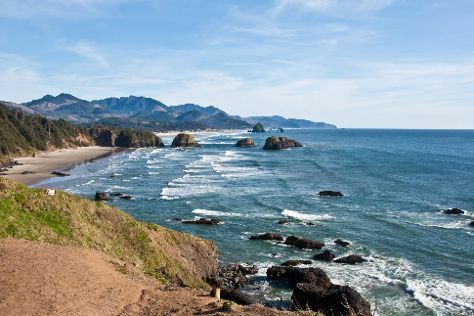 Discover out-of-the-way places like Ecola State Park and Cannon Beach. Take a break from the city and head to Haystack Rock and Short Sands Beach. Explore Cannon Beach's surroundings by going to Bayocean Peninsula County Park (in Tillamook) and Rockaway Beach Wayside (in Rockaway Beach). The adventure continues: tour the pleasant surroundings at Hug Point State Recreation Site, immerse yourself in nature at Hug Point State Park, relax and rejuvenate at some of the top local wellness centers, and brush up on your knowledge of spirits at Cannon Beach Distillery. To see more things to do, reviews, other places to visit, and tourist information, read Cannon Beach trip planner . Traveling by car from Hood River to Cannon Beach takes 3 hours. Alternatively, you can take a bus; or do a combination of train and bus. Expect slightly colder evenings in Cannon Beach when traveling from Hood River in September, with lows around 13°C. Finish up your sightseeing early on the 29th (Sun) so you can travel to Carmel. Carmel-by-the-Sea, often simply called Carmel, is a city in Monterey County, California, United States, founded in 1902 and incorporated on October 31, 1916. You'll explore the less-touristy side of things at Carmel River State Beach and Monterey Bay. Get outdoors at Dolphin & Whale Watching and McWay Falls. Step out of Carmel to go to Big Sur and see Julia Pfeiffer Burns State Park, which is approximately 1h 05 min away. It doesn't end there: stroll through Point Lobos and kick back and relax at Pacific Grove Shoreline Parkway Marine Refuge. For ratings, maps, reviews, and tourist information, you can read our Carmel tour planning app . You can do a combination of bus and flight from Cannon Beach to Carmel in 8.5 hours. Other options are to do a combination of bus, flight, and shuttle; or drive. Expect a daytime high around 26°C in September, and nighttime lows around 15°C. 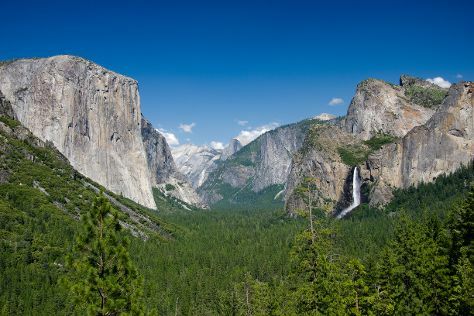 Wrap up your sightseeing on the 2nd (Wed) to allow time to drive to Yosemite National Park. Eschew the tourist crowds and head to Bodie State Historic Park and Yosemite Falls. Visiting Tunnel View and Taft Point will get you outdoors. There's much more to do: take in the dramatic natural features at Glacier Point, get all the information you need at Yosemite Conservation Heritage Center, make a trip to Olmsted Point, and mingle with the ghosts of the past at Bodie. To see traveler tips, reviews, where to stay, and more tourist information, read our Yosemite National Park trip itinerary maker app . Traveling by car from Carmel to Yosemite National Park takes 5 hours. Alternatively, you can do a combination of flight and car; or do a combination of shuttle, flight, and car. Traveling from Carmel in October, plan for cooler nights in Yosemite National Park, with lows around -2°C. Wrap up your sightseeing on the 6th (Sun) to allow time to drive to San Francisco. Castello di Amorosa and Alcatraz Island are good opportunities to explore the local culture. Get outdoors at Bodega Dunes and Twin Peaks. Change things up with a short trip to V. Sattui Winery in St. Helena (about 1h 25 min away). There's lots more to do: snap pictures at Golden Gate Bridge, steep yourself in history at SS Jeremiah O'Brien, look for gifts at City Lights Booksellers, and take a leisurely stroll along Fisherman's Wharf. To see ratings, photos, and other tourist information, go to the San Francisco road trip app . Traveling by car from Yosemite National Park to San Francisco takes 4 hours. Alternatively, you can do a combination of car and flight; or do a combination of bus and flight. When traveling from Yosemite National Park in October, plan for a bit warmer days and warmer nights in San Francisco: temperatures range from 26°C by day to 15°C at night. Wrap up your sightseeing on the 9th (Wed) to allow time to travel back home.